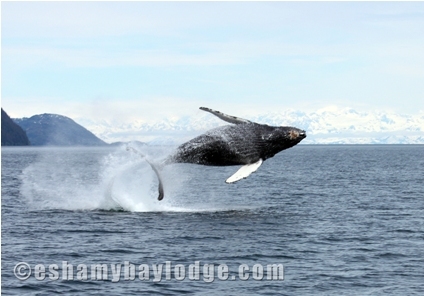 Yesterday, Captain Duke took out 4 guests staying at Eshamy Bay Lodge for a wildlife tour, and he captured some great pictures of humpback whales breaching! 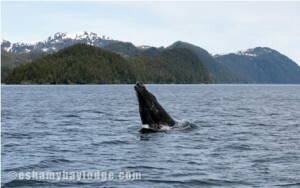 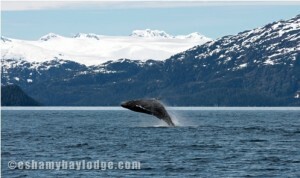 Humpback Whales travel throughout Prince William Sound, Alaska feeding on small fish and plankton. 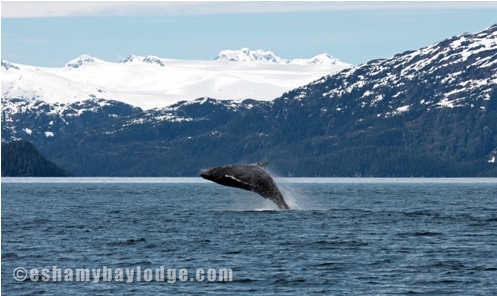 Some days they feel the need to launch themselves completely out of the water and we are fortunate enough to be able to watch these magnificent creatures. The tour also consisted of some great bird watching, seals, sea otters, and eagles, but as you can see the humpback whales stole the show!